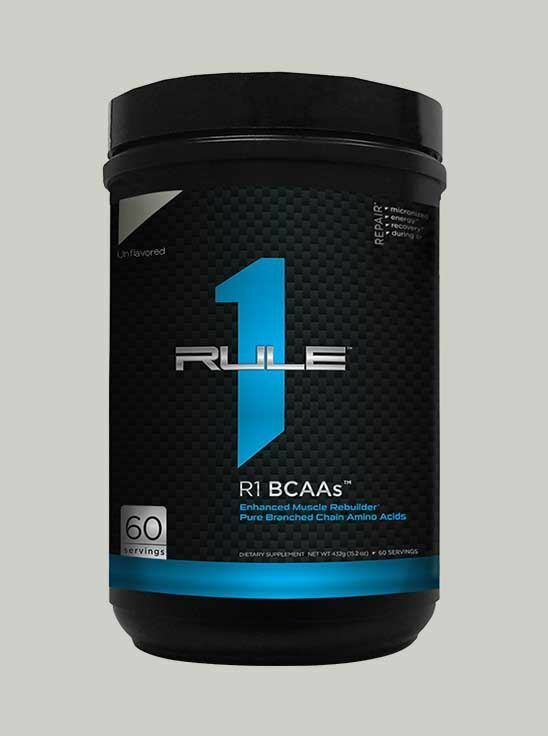 Rule 1 BCAA provides energy during workout – that helps prevent muscle catabolism. Each 5 gm serving of Rule 1 BCAA provides 2.5 gm of Leucine and 1.25 gm of Isoleucine and 1.25 gm of Valine. • Leucine, Isoleucine and Valine are essential Branched Chain Amino acids that are important for muscle growth. • Branched Chain Amino Acids (BCAA) are essential amino acids that are oxidised in skeletal muscles to produce energy during workout. Unlike other essential amino acids, it surpasses liver and are catabolised in the muscles itself. • Thus, BCAA decrease the exercise induced muscle damage. • Leucine induces muscle growth while isoleucine and valine are anti-catabolic. • Although first class proteins are good sources of BCAA’s, their requirement increases with workout, which makes supplementation imperative. • Rule 1 BCAA provides energy during workout – that helps prevent muscle catabolism. • Each 5 gm serving of Rule 1 BCAA provides 2.5 gm of Leucine and 1.25 gm of Isoleucine and 1.25 gm of Valine. • Micronised for faster absorption. • Micronisation is the procedure of fine grinding the powder which makes micronized powder 20 times finer than normal powder. • The micronized structure ensures better mixability and faster absorption. • Micronised product stays suspended in the liquid form and does not gets sedimented. 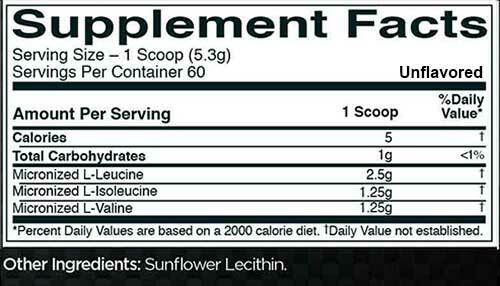 • How to Use – Best if taken Pre workout, Intra workout or post workout for better muscle growth and recovery. • 1 scoop of Rule 1 BCAA has to be taken in 250-300ml of cold water. R1 BCAAs can be used by muscles cells as an energy source, which may help offset muscle breakdown during endurance exercise and help support faster recovery and repair after weight training. Despite the fact that they are intrinsically present in first class proteins, they are required in additional amounts especially for exercising individuals and athletes for their stand-alone benefits apart from their obvious role as building blocks of proteins. Thus it becomes an ideal intra-workout as well as a post-workout supplement. Mix (1) one teaspoon of R1 BCAAs with 8-10oz. of cold water and consume before, during or after intense training sessions. Q.1 What is R1 BCAAs? 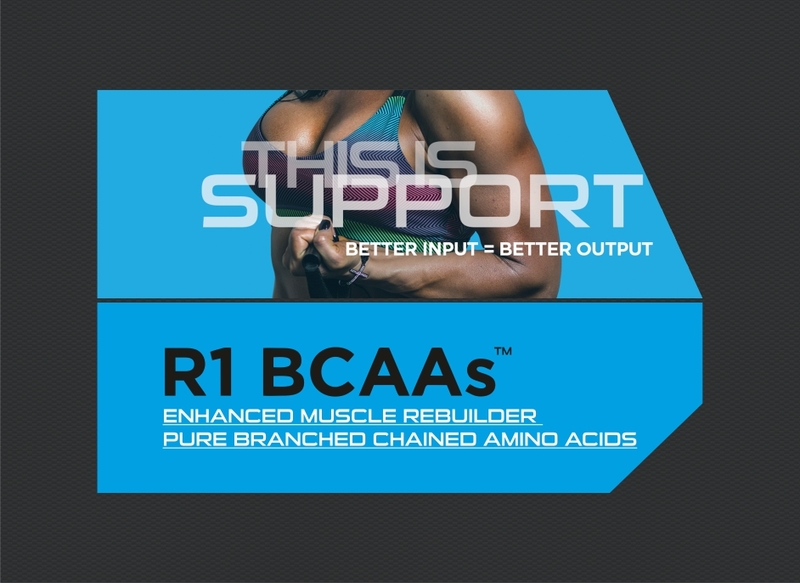 R1 BCAAs provides 5 grams of the three Branched Chain Amino Acids (L-Valine, L-Leucine, and L-Isoleucine) in the clinically proven 2:1:1 ratio. Branched-chain amino acids (BCAAs) are obtained from proteins found in diet especially in meat, dairy products, and legumes. These cannot be produced by the body. They comprise of amino acids Leucine, Isoleucine and Valine and are essential for the muscle synthesis, maintenance and repair. 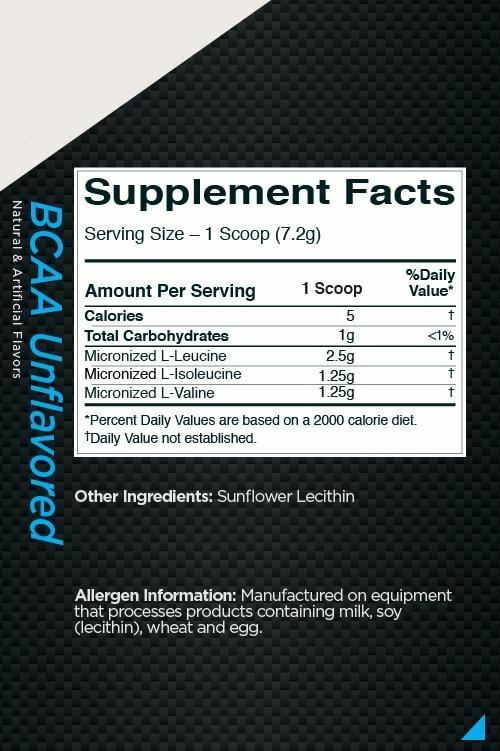 BCAAs are metabolized directly in the muscle and not in the liver. When protein is broken down into individual amino acids, the BCAA can either be used to build new proteins or burned as fuel to produce energy. Q.3 What is the ideal time to consume R1 BCAAs? The ideal time to R1 BCAAs would be during workout and post-workout. Another serving can be consumed first thing in the morning to kick-start anabolism. Q.4 Can R1 BCAAs be consumed intra-workout? R1 BCAAs can be sipped as an intra-workout drink. Q.5 Is R1 BCAAs stimulant free? Yes, it is completely stimulant free. Q.6 Are there any side-effects of R1 BCAAs? Q.7 Can R1 BCAAs be consumed by vegetarians? Q.8 Can R1 BCAAs be added to a protein shake? If you can stand the clashing of the taste, then you can add R1 BCAAs to your protein shake. Q.9 Can R1 BCAAs be taken along with the Full-Spectrum or Essential Amino Acid supplements? R1 BCAAs can be taken during and post-workout and Essential Amino Acid or Full Spectrum Amino acid product can be take post- meals for anabolic boosts. Q.10 For muscle gain, is BCAA supplementation importa­­­­­nt or Whey is enough? Whey Protein is sufficient for muscle gain. However, protein synthesis, which is the scientific term for muscle gain, is directly linked to BCAAs. The amino acid Leucine is known to trigger the process of protein synthesis. Hence supplementing with BCAAs can enhance muscle gain and also serve as a great source of energy.